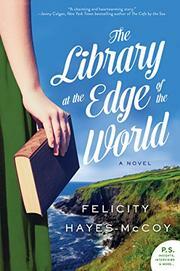 A librarian returns to her small Ireland hometown—and the cast of eccentric characters who live there. After divorcing her cheating husband, 51-year-old Hanna Casey finds herself living back home in the Irish countryside with her nagging mother. Although Hanna lived a sophisticated life in London while she was married, now she has to once again get used to the slower pace of life in Lissbeg. As her daughter, Jazz, travels the world working for an airline, Hanna earns her living as the town librarian. With a reputation for being stuck-up, she avoids fraternizing with the locals; instead, she wants to focus on restoring her great-aunt’s old cottage so she can finally move out of her mom’s house. But when a group of bureaucrats comes up with a tourism plan that will involve closing the Lissbeg library, Hanna becomes the reluctant leader of a campaign to save it. As Hanna gets more involved in the lives of the people in her community, she begins to realize that Lissbeg isn’t just any other town—it’s her home. Bursting with lovably wacky characters (most notably the cantankerous builder Fury O’Shea), this novel creates a richly drawn world. Although the characters are charming, Irish author Hayes-McCoy's U.S. debut presents a realistic view of what it’s like to live in a small town where employment opportunities are slim. Those who are seeking an adventure-filled thrill ride should look elsewhere, but readers searching for a slow-paced, gentle look at small-town Ireland will find a lot to love. A sweet and relaxing story about the importance of community.